Part Used : Leaves, Seed, Root. Habitat : It is a deciduous tree and mainly found in asia and malesia. Product offered : Fruits, Bark, Seed, Root, leaves. Uses : In Ayurvedic medicine the bark of the tree is used for blood-related diseases. 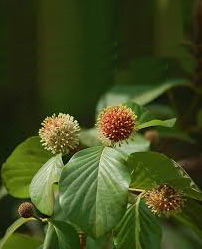 In traditional medicine in the Indian subcontinent the bark and roots of the tree are used for fevers, colic, muscular pains, burning sensations in the stomach, poisoning, female problems, coughs, oedema and as an . Wounds and ulcers may be dressed with bruised leaves to promote healing and to alleviate pain, while extracts of the fruit are used to kill pain and as anti-inflammatory agents. While these properties have been confirmed by scientist, they have not yet discovered which of the substances or combination of them are responsible for these actions. The stem and the bark of the tree contain flavonoids, glycosides and tannins as well as a number of alkaloids, and an extract has been shown in vitro, to be effective in killing worms. Like St. John’s wort and ginseng, extracts have been proved to relieve anxiety and seem to work as well as diazepam, without the side effects of that drug.